Best Golf Labels You Can Buy Under Ten Bucks Delivered. The Best 24 Golf Labels You Can Buy. Club Valet® comes to you from the most trusted name in online labels, MaverickLabel.com. These are the best golf labels you can buy and they will cost you less than far more inferior brands. Shipped to you via trackable USPS shipment. There’s even room for a personalized gift message on the 24 label sheet. Unique combination of materials and printing assure long label life. Align golf label with grip bottom and shaft length then roll into place. More than enough labels for a full bag of clubs and your golf gear. Remain stuck in place despite exposure to sweat, rain and liquids. Impervious to drenching rain, bright sun and any golf-friendly temperature. Black labels printed in your choice of high-contrast gold or silver. Black labels printed in your choice of hi-contrast gold or silver. Ordering more than one? We have bulk discounts! Order 3 or more and get a 20% discount, or if you order 10 or more, get a 30% discount! The Best Golf Labels You Can Buy. Premium materials, protective printing and special adhesive make for the best golf club labels money can buy. 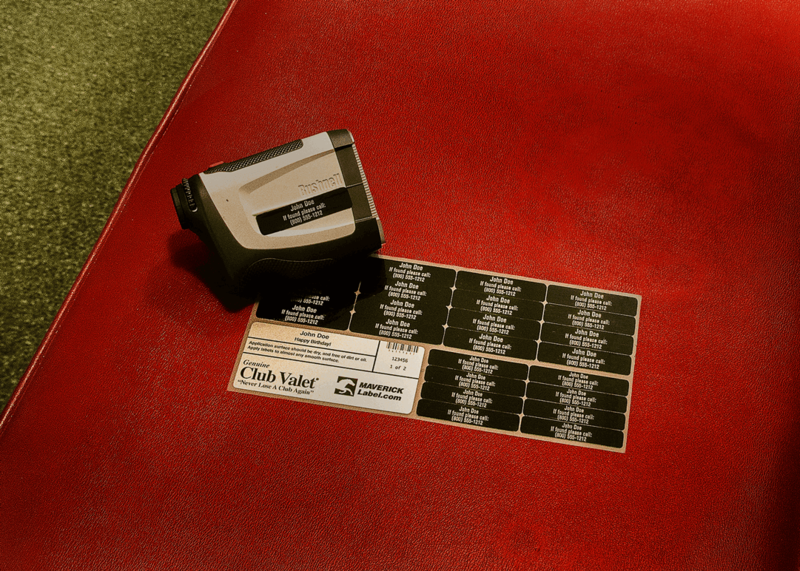 Club Valet® premium golf labels. 24 per sheet. 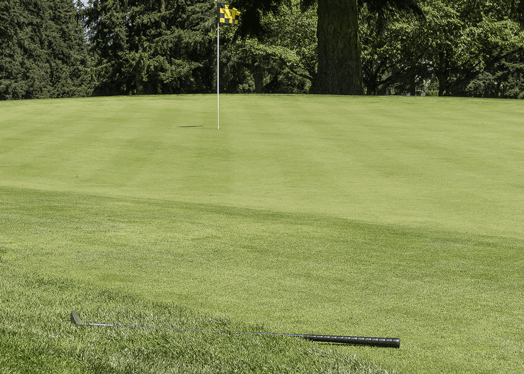 Why are Club Valet® brand golf labels stronger than the others? The adhesive we use is among the most aggressive that can be applied to the ultra durable vinyl label materials we use. After printing your labels we apply a high gloss polyester laminate to the label surface, which provides additional light, fade resistance and the greatest possible label durability. As a result, Club Valet® labels are guaranteed to be waterproof, fade resistant, and to stand up to exposure to most solvents. 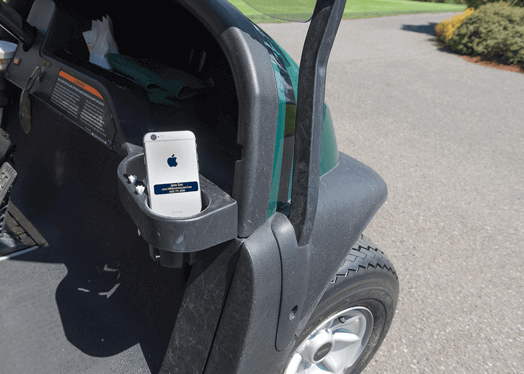 What happens if I get my Club Valet® brand golf labels wet? Your labels should stay tightly adhered to the club shaft and the label color and text should be unchanged. 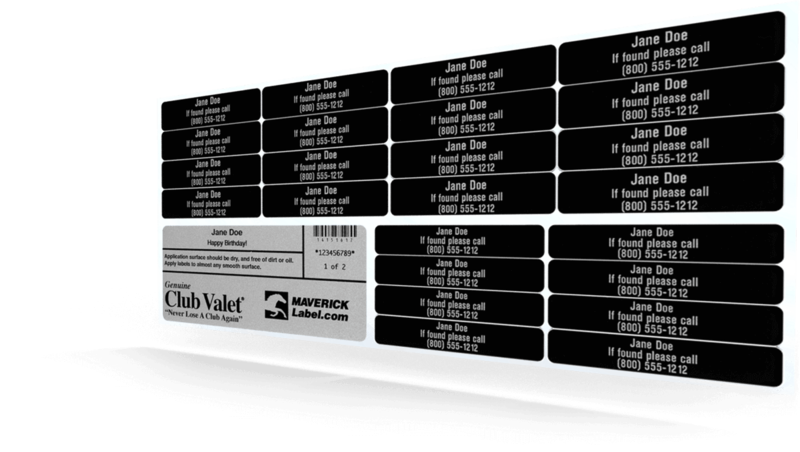 Club Valet® labels are guaranteed to be waterproof. 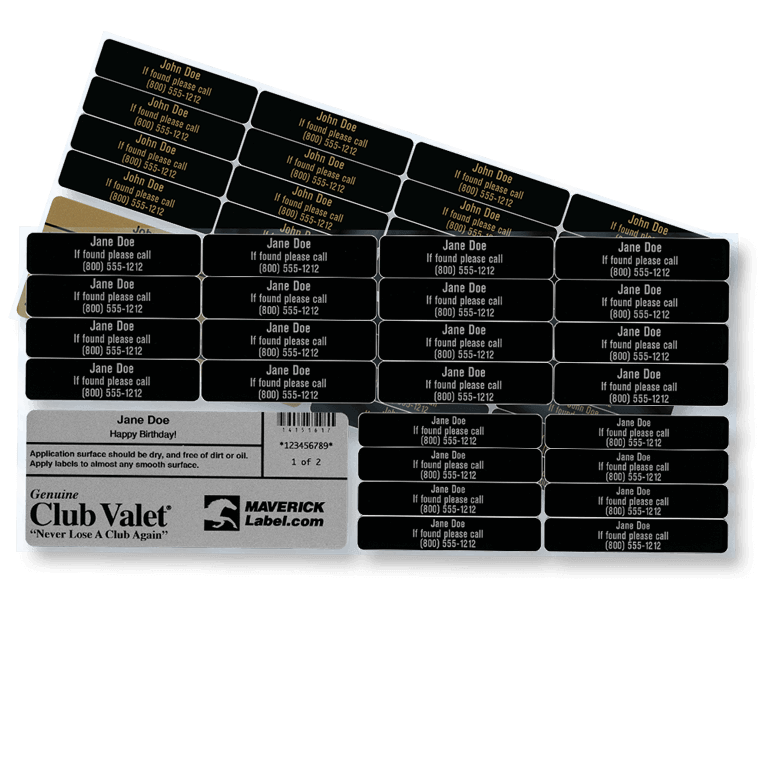 What are the directions for applying Club Valet® brand golf labels? 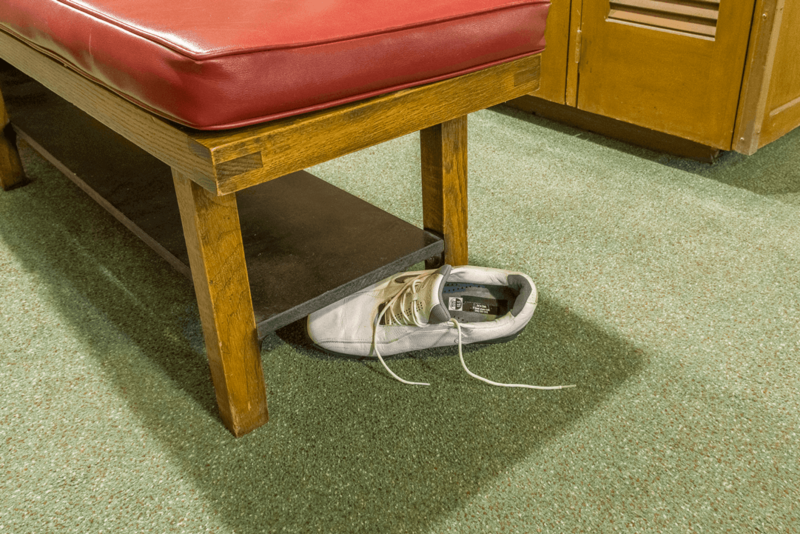 Lay the club on a flat surface and brace to prevent movement, if possible. With a clean, lint free cloth wipe the shaft area where the label will be applied. Peel one label from the sheet of 24, avoiding contact with the adhesive side of the label as much as possible. Before adhering the label to the shaft, align the label so that the length will go down rather than around the shaft. Lightly place the edge of the label that will be closest to the grip to the shaft. Now push the label down the shaft along the center/middle of the label. Smooth around to edges from top to bottom. Press firmly along the entire label to activate the “pressure sensitive” adhesive. Let stand for an hour before using the club or returning the club to the bag. Why do Club Valet® brand golf labels wrap down rather than around the club shaft? Our labels wrap down the shaft for two reasons: first, a longer label allows us more room to make more of your contact information legible and, two, labels wrapped down the shaft tend to stay in place longer, also easier to read and not be confused with a branding label, and wear better than those wrapped around the shaft. 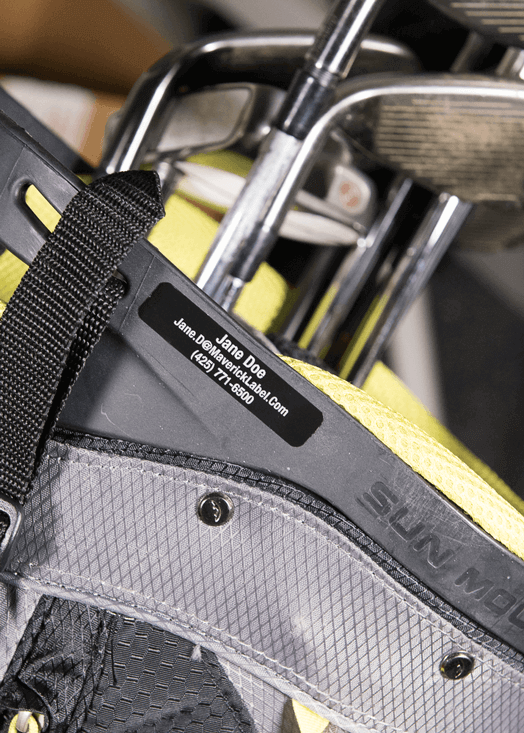 How do I remove Club Valet® brand golf labels? 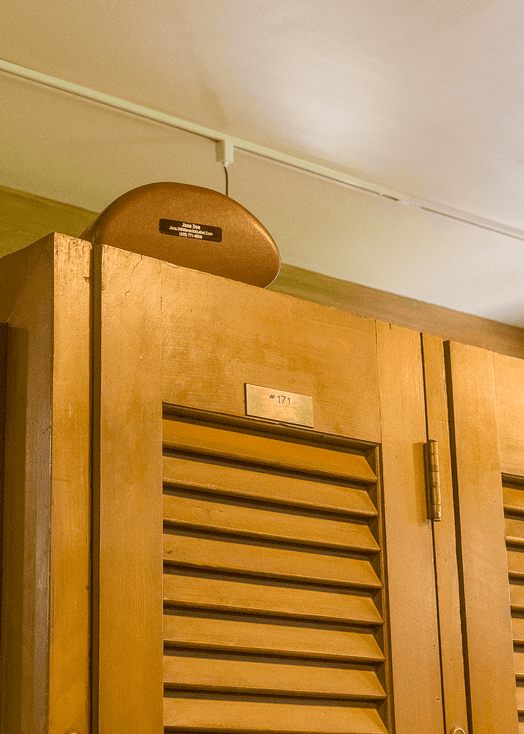 Your labels are designed to stay in place for the long term, perhaps outlasting your clubs. However, with some patience labels can be removed in their entirety . The adhesive residue left behind can be removed with some nail polish remover or alcohol based products so you can sell or pass down your clubs to family members.